Weekend Giveaway: Win A Year of French Jewelry from Emma & Chloe! Weekend Giveaway time! This week, one lucky winner will receive a year-long subscription to Emma & Chloe! Emma & Chloe (regularly $35/month) is a jewelry subscription service that sends a new piece of French jewelry every month! Each monthly delivery features an independent French designer, is valued between $50 and $200, comes packaged in a sturdy and very giftable box, and also includes a magazine about French fashion & jewelry trends. Subscribers can choose whether they prefer to receive gold or silver toned jewelry, as well as pin or clip-on earrings. Check out all of our Emma & Chloe reviews to see some of the pieces we’ve received! If you do the refer-a-friend entry option in this giveaway, you’ll get the entries for that once the friend has entered the giveaway. Giveaway is open only to US residents 18 and over, and entries will be accepted through Wednesday October 18th at Noon Eastern. How do subscribers rate Emma & Chloe? Do you subscribe to Emma & Chloe? Add your rating now! The famous Kendra Scott bracelet from PopSugar Must Have. I love it! All the House of Harlow pieces from Bijoux Box. Also the HC watch from Luxor! I only recently subscribed to Emma and chole, and so far I do really like the fan earrings I got for the month of sept. Their customer service have been quite responsive and do fix the issues quickly. The silver and other of pearl ring from emma and chloe 2 months ago! I got a silver bangle bracelet in a Cozy Reader Club a while back that has a few charms on it, including a book and a tea cup, that I wear stacked with other bracelets. Most coveted item I didn’t receive? That Dylanlex necklace! so far the only piece of jewelry that i’ve worn often from any of the boxes is the mother of pearl ring from Emma&Chloe. i wanted to like the kendra scott bracelet but my wrists are so small, the straps are too long and they hang too much. Anything sterling silver which doesn’t snow up too often in sub boxes. I’ve wanted most of the jewelry items from this subscription! Rocksbox has some of the “best” pieces. I loved the Dylanlex necklace from Box of Style – I am a casual girl and it dresses up a casual top and jeans or black work pants. I really do love the Emma and Chloe jewelry as well – they have all been winners to me. I get tons of compliments. All delicate silver jewellery! Most boxes show gold but I love the reviews with other finishes. The Anne Thomas Cuzco earrings from September. But, I’d love for Emma & Chloe to offer a Camille Enrico piece (since they carry them in the shop!). Tarnish issues aside, I actually LOVE the RZ La Soula rings in silver. I wear mine everyday! Second this. The love necklace from Popsugar is also very wearable. Would love the necklace in the PS LE fall box. Also anything House of Harlow has looked stunning. Currently I’m getting your Bijoux box and love it. I’m thinking about getting Emma and Chloe as well in the future. I love the Deepa Gurnani bracelets! I haven’t received any jewelry in subscription boxes yet but I would love a Kendra Scott bracelet. I like the owl earrings someone in a review on MSA got. Anything Les Nereides and Kendra Scott. My favorite has been the Kendra Scott bracelets! Jumping on the bandwagon with the Kendra Scott bracelet! I love anything Les Nereides! Eddie Borgo Plinth Silver Cuff. I love all jewelry, especially earrings. The Tanya Nahua necklace from Luxe Provence – it is just gorgeous! I love the long fringey pendant necklace featured a few months ago! Please more silver jewelry! I don’t wear gold much but I certainly have a stash of it. They are pretty though. 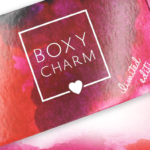 I’ve always been a makeup subscription person but I did bite on a couple of the popsugar boxes and the Kendra Scott bracelet everyone still has was a really nice piece of jewelry and I did like it. I love the pura vida bracelets! The REM tile bracelet. It is gorgeous I just wish it was a little bigger, mine fits me but I prefer them looser. Branded collective become a number to restore a name. I Loved the Kris Nation “love” necklace and x&o earrings.